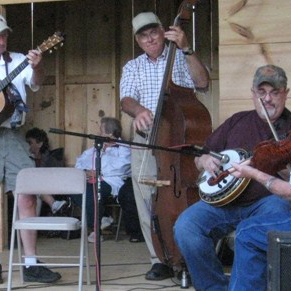 If you are a fan of live music, particularly old time and bluegrass that have such deep roots in these Blue Ridge Mountains, you owe it to yourself to head over to Sparta, NC, and drop in to hear the Crouse House Pickers any Monday night. Crouse Park is exactly two blocks directly north behind the Courthouse. (Take NC 18 north, East Doughton Street, past the Courthouse. Take the second left, then the next right. The Crouse House is in the park on your right.) This informal group of musicians have been showing up every Monday night around 6 p.m. and playing until around 9 for the past 25 years. Free- tips suggestedhttps://highcountryhost.com/images/events/CrouseHousePickers1.jpgCrouse House PickersCrouse House Pickers2018-01-22 18:00:002018-12-03 21:00:00Sparta, NCSparta, NCIf you are a fan of live music, particularly old time and bluegrass that have such deep roots in these Blue Ridge Mountains, you owe it to yourself to head over to Sparta, NC, and drop in to hear the Crouse House Pickers any Monday night. Crouse Park is exactly two blocks directly north behind the Courthouse. (Take NC 18 north, East Doughton Street, past the Courthouse. Take the second left, then the next right. The Crouse House is in the park on your right.) This informal group of musicians have been showing up every Monday night around 6 p.m. and playing until around 9 for the past 25 years.